After a short pause, our monthly mixtape series returns to full flow with this exceptional (and controversial) mix from Techno youngster Rumah. You’re probably wondering how a one hour Techno mix can be controversial, but the second you press play you’ll understand. Taking full opportunity of the platform on which this mix is hosted, Rumah has decided to take the opportunity to express his feelings towards sweatshops and a certain footwear brand. It’s a bold move, and one that you have to respect really, wether you agree with it or not. Such a bold start is hard to follow, but thankfully the mix itself fills these large boots and exceeds the expectation with a seamless and smooth mix of rolling Techno that would make for one of the most energetic DJ sets if it was in a club. For those not too familiar with the name Rumah, don’t worry, he’s very new to the scene, having only had one release to date on the equally as young Nineteen89 record label. However, with his debut solo release dropping on CHURCH imminently, he’s in the safe hands of those responsible for putting out Happa’s first release. 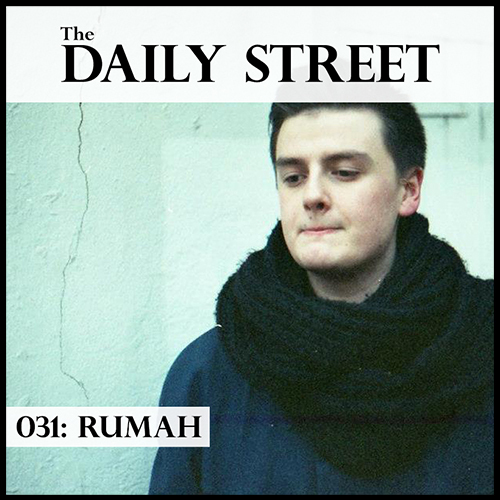 Rumah is without a doubt one to keep a very firm eye on, as we’re predicting him to quickly settle into an important role in the UK Techno and Bass scene. Enjoy the mix below and don’t forget to pick up a copy of Rumah’s ‘Stutter / Murmur’ release on CHURCH when it drops on April 15th.